Here are instructions on how to post to the class blog. 1. Check your email to find and accept the invitation to edit this blog from WordPress. Create an account. 2. Log in to WordPress. 3. 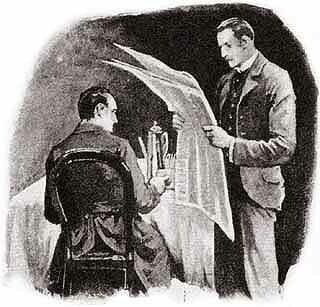 Make sure you’re viewing the class website (https://sherlockholmeslondondh.wordpress.com/), not your own personal page. Check by looking at the URL and by hovering the mouse over “My Sites” in the upper left-hand side of the screen: if you’re on the right page, it will say “Digital Tools.” If it doesn’t say that, click “Switch Site” and click on the class website. 4. To make a post, click on the word “Posts” on the left-hand side of a screen (with an icon of a pushpin). 5. Click “Add New” to create a new post. 6. Give your post a title, and start typing the post in the main text field. 7. Use the buttons above the text field to bold, italicize, cross out, indent, and align the text. Note: Use the links in the popup menu to upload anything online (e.g. YouTube videos and tweets), and drop and drag to upload images from your own computer into the media library, and then follow the instructions to add it to your post. 10. Proofread your post! Get rid of spelling, grammar, or syntax errors: you can click on the button with a checkmark and the words “ABC” above it to help you out. 11. IMPORTANT: On the right-hand sidebar, you’ll see a section labeled “Categories.” To have your post appear on the correct part of the website, you MUST check the box labeled “Fall 2015 Blog.” Your post will not count as submitted without checking that box. 12. When it’s done, add tags (a.k.a. themes/keywords in your post) in the box on the right labeled “Tags,” and click the blue “Publish” button at the top right-hand side of the page. Then, check the blog page to make sure it showed up. If it did, you’re done! Congrats on posting!